You Are So Very Beautiful - Now In Three Countries! - craftivism. You Are So Very Beautiful – Now In Three Countries! 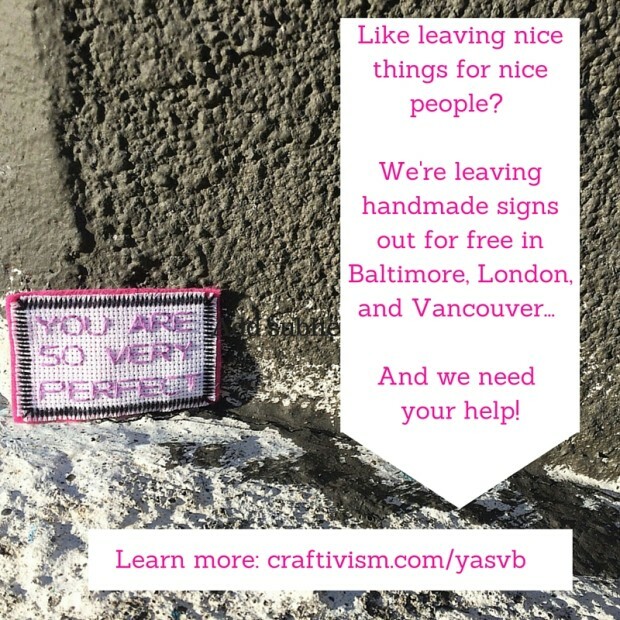 I’m happy to announce that we’ll be leaving handstitched signs for people in THREE COUNTRIES: in Baltimore (US), London (UK), and Vancouver (CA)!! And we need help collecting signs! Details here. You Are So Very Beautiful is coming to Baltimore! You Are So Very Beautiful is TWO WEEKS away!